Little has been heard about alimony reform in the Sunshine State since lawmakers pronounced the most recent bill dead in March 2017. Governor Rick Scott vetoed the first reform measure on a technicality, and a last minute add-on led to the demise of the 2016 bill after the Florida Bar Association withdrew its support. Alimony reformers (mostly divorced obligors) want to end any possibility of permanent alimony and tie payments to a percentage-of-income system much like child support payments. Opponents (mostly divorced obligees) say these reforms would deprive women of a needed income stream and not fully account for the facts in individual cases. The spousal support law sets up several different types of alimony for several different situations. Almost all of them are designed to jumpstart economic self-sufficiency for obligees and not set up a permanent subsidy. A judge may order one or more types of spousal support. Temporary: Immediately after the divorce is filed, some obligee spouses must come up with money to pay attorneys’ fees, daycare deposits, property down payments, and other similar expenses. If they do not have the resources to pay these bills and the obligor can help, the court usually orders temporary alimony. Bridge-the-Gap: These payments last for a maximum two years after the divorce is final. The money is designed to pay for the last few hours of college or other expenses that fall between temporary and rehabilitative alimony. Rehabilitative: Sometimes, economic self-sufficiency requires more than a few hours of college, because the obligee might have no education or job skills. If these spouses prepare written rehabilitation plans and stick with their plans, they are entitled to financial support from the other spouse for the duration of the plan. Durational: These payments, which are capped at the length of the marriage, are available only if the other, more limited types of alimony are inappropriate or unworkable. Permanent: These payments are even more rare, because there must be evidence in the record that suggests the obligee spouse cannot ever, under any circumstances, become economically self-sufficient. These circumstances include a spouse’s disability or care over a disabled child. Although the court may order either party to make spousal support payments, the obligor is almost always the husband and the obligee is almost always the wife. Fault: Adultery is most often a consideration when it caused financial harm, as opposed to emotional harm, to the other spouse. Each Party’s Income and Resources: The goal here is to determine the obligee’s minimum financial need and the obligor’s realistic ability to pay. Standard of Living During the Marriage: The divorce should not be an unfair financial burden on either the husband or the wife. 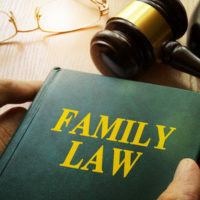 Relative Circumstances: If one spouse is younger, healthier, and/or better educated than the other one, and thus more able to rebuild wealth, the court will consider that factor. If these factors change, either party may generally seek modification. Remarriage or a permanent “supportive relationship” may also serve as a basis for modification in most cases. Most Florida divorces involve some form of spousal support payment. For a free consultation with an experienced family law attorney in Port St. Lucie, contact Eighmie Law Firm, P.A. We routinely handle cases throughout the Treasure Coast.